Heavy duty, rugged, quality acrylic plastic base with attached, adjustable stainless steel clips which can be used for hanging over an tank wall. All plastic needle valves for fine control. Can be easily place on a flat surface or hung. 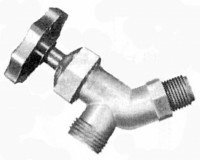 Several can be attached together by just removing included air plug and connecting with aquarium tubing. Come in three models; 4, 6, and 8 outlets. <P>Made by Florida Aqua Farms USA.